In 1982 she graduated from the Faculty of Mathematics and Mechanics of Moscow State University. Mv Lomonosov specialty “Mathematics”. 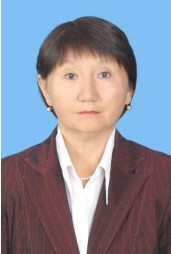 From 2002 to the present, she has been working as a senior lecturer in the department of higher mathematics at Karaganda State Technical University. The total work experience is 27 years, the work experience of pedagogical activity is 25 years. During the period of work at the university she conducted practical lectures on the following courses: “Mathematics 1”, “Mathematics 2”, “Algebra”, “Mathematical analysis 1.2”, “Differential equations”.